Can fashion be ethical? Yes it can! With Castellano Ethical Origins you can see ethical fashion in action. They make beautiful, handmade woven bags that are in the coolest colors. 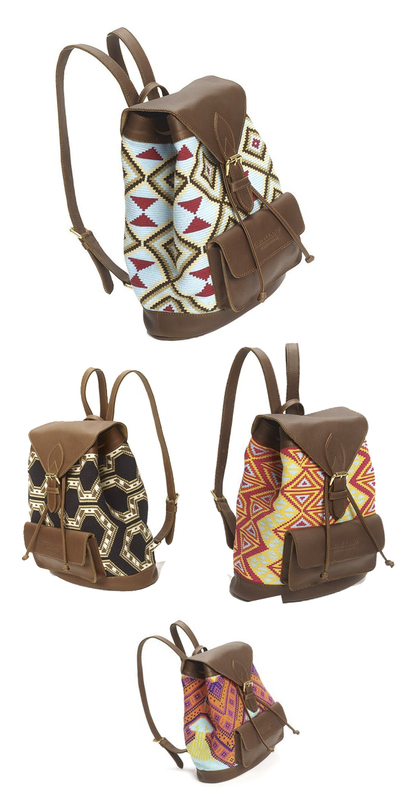 They have multicoloured ethical tote bags and back packs, as well as cross-strap bags which are absolutely gorgeous and stylish! This Wayuu backpack is their best selling item, selling out really fast during their pre-order intake. The designs are stunning - they're made from woven fabric and are handmade using leather and materials designed by artists from northern Columbia. The backpack is handcrafted with 100% soft leather and is made for limited edition. By buying this bag you are supporting the Wayuu craftsmanship and empowering women in this ethnic community to develop their skills and have a better standard of living.